The GU10 studio tilt ceiling spotlight with triple lights is a versatile and modern way to illumunate an area of the home. The tiltable bulbs allow the owner to adjust the direction of each bulb. These tiltable lights are perfect for when you need lights to focus on several directions such as in a kitchen, bedroom or a study and a great economical solution to LED lights. If you've got any queries on our triple studio ceiling spotlights then don't hesitate to give us a call. 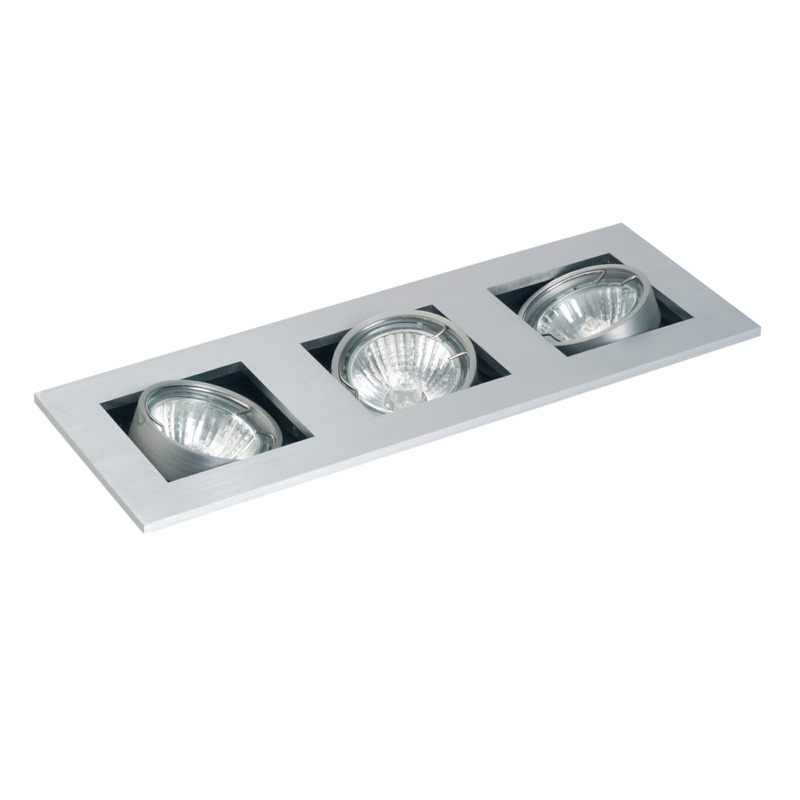 A triple head ceiling spot light is ideal way to light the home or the office and this Studio GU10 spotlight with its modern look ceiling helps you to acheive this, with its triple tiltable spotlight the light can be applied in the direct you require. Supplied with a template cut out so as to make installation an easy process.